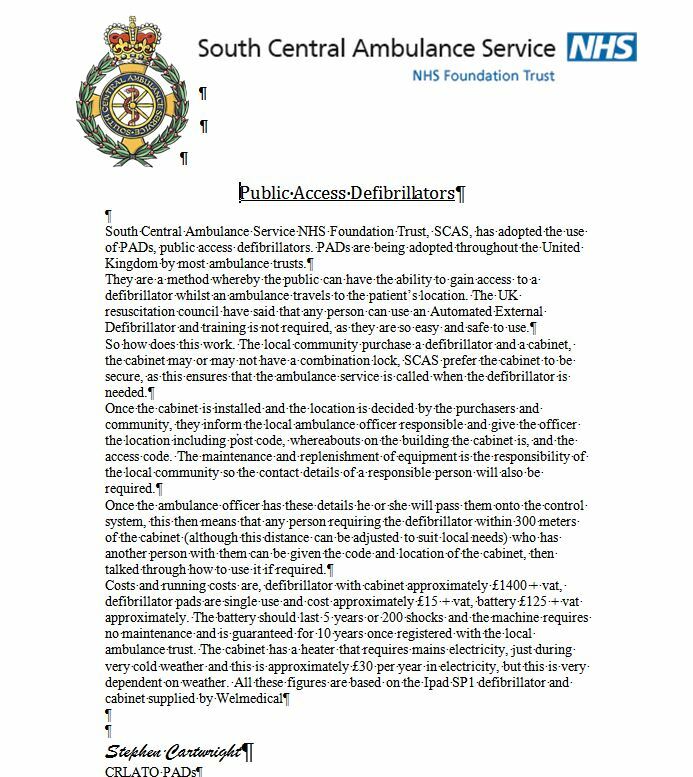 The documents below give guidance on how the system operates. Note that two people are needed: one to stay with the casualty and start chest compressions and one to call 999 and get the access code for the defibrillator. In our case, these both indicate the defibrillator installed outside the Village Hall.